Delegate decision making to sophisticated back-end logic that can leverage historical data, provide processing capacity and execute workflows, resulting in improved user experience. With its series of smart devices (smart thermostat, smoke detector and recently, home camera), Nest is targeting the first of the aforementioned points. scriptr.io, provides you with the second part and, thanks to its Nest connector, you can now easily connect your scripts to any of your Nest devices. scriptr.io’s connector for Nest wraps Nest’s REST APIs so they can natively be used from within your scripts. 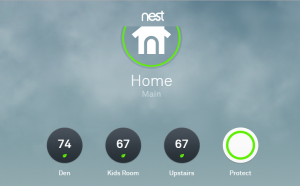 Before you can start playing around with the connector, you first need to sign-up to the Nest developer website and create an application there. 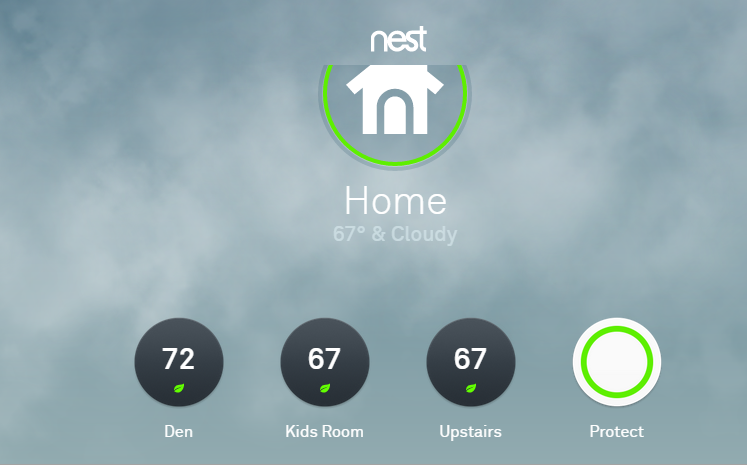 Whether or not you already own Nest devices, you might be interested in using the simulator they offer as an extension to Google chrome. This latter allows you to create virtual devices in a virtual home, send instructions to them (home + devices) and follow-up on their status using a nice user interface. In the remainder of this article, we will consider that you installed the simulator and signed up to the Nest Home service and we will use the simulator. If you installed the Nest simulator as suggested in the preceding paragraph, open your Google chrome browser (if needed) and open the “Developer tool”. You should see a new “Nest” tab on the right corner. Clicking on it opens a simple dashboard that allows you to add/modify virtual devices and make some basic settings on your “home”. Retrieve the connector’s script from Github and deploy them into a “nest” folder in your scriptr.io account. Copy the URL in the “result” field and paste it in a browser. This should route you to an authorization wizard at Nest’s premises. In the nest/config script, copy the values of the access_token and expires_in obtained above into the token variable. There are many more useful methods that you can leverage in your applications. Check them all on Github.